New Delhi: Several big-ticket purchases by the three service arms do not have either an integrity clause or a sovereign guarantee, senior defence ministry officials said on condition of anonymity. 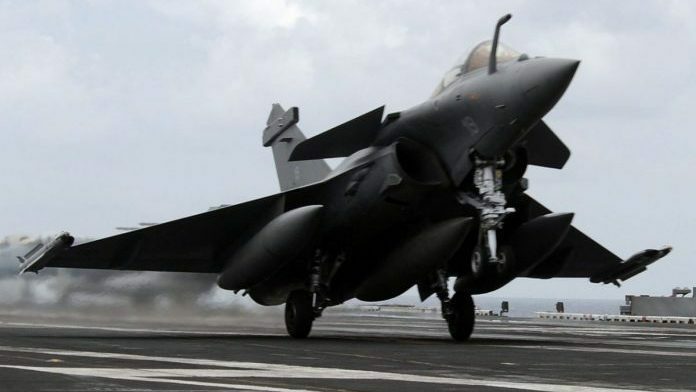 They were responding to a report in The Hindu that pointed to the lack of both in the Rafale deal and a demand from the Congress, citing this report, for a probe into the defence acquisition. For instance, the Manmohan Singh led UPA-government negotiated the purchase of heavy lift transporters from the US through the Foreign Direct Sale route (FMS) that did not have an integrity clause or a sovereign guarantee, one of the officials said. The 10 C-17 strategic lift aircraft cost the exchequer $ 4.1 Bn. Similarly, the six US-made C-130 heavy lift aircraft bought in 2010 for $ 1bn came without any integrity clause or sovereign guarantee, this person added. Similarly, equipment and hardware from Russia, too, come without either of these. “The Su-30Mki – the current frontline fighters – bought in the 1990s and early 2000 came without these,” a second senior official said. “The S-400 – a missile defence shield – deal will also not have these provisions,” he added. India has bought tanks, warships, and other equipment from Russia without either, the official said. Air Marshal SBP Sinha, who headed the team that negotiated the Rafale deal confirmed to news agency ANI that previous government-to-government contracts with Russia and the United States do not have the anti-corruption clause. Russia refused to sign a deal with a so-called Pre Contract Integrity Pact (PCIP) when India was negotiating the purchase of helicopters to carry senior functionaries like the President and Prime Minister. The 36 Rafale fighters were bought under the 2013 Defence Procurement Policy (DPP) framework. According to DPP 2013, equipment bought from friendly countries need not follow the “Standard Procurement Procedure” (SPP) or “Standard Contract Documents.” The section of the DPP that deals with Intergovernmental Agreements (IGA) says; purchases made “would be based on mutually agreed provisions by the Governments of both the countries.” These provisions were included in the Defence Procurement Policy 2016, the last policy paper released by the government to guide defence acquisition. Some officials did raise the issue of the integrity clause during the year and half of negotiations. This included former MoD (Finance) officer Sudhansu Mohanty too raised these issues. “However, the officers did not raise the issue before the Defence Acquisition Council (DAC) – the highest body in the defence ministry chaired by the defence minister that decides on acquisitions,” Sinha said. The objections or disagreements were “that of individuals and not of the negotiating team. Individual views shouldn’t be projected as a view of the committee.” he added. And all members of the team “signed” the report “on the basis of which MoD moved Cabinet Committee on Security for a nod to purchase the 36 fighters,” he said. There was no dissent or disagreement. “In my long years with MoD, I don’t remember integrity pacts or sovereign guarantees coming from Russia or for that matter any other government. These provisions are there for individual vendors, not for negotiations between governments,” the former head of MoD Finance Amit Cowshish said. Congress spokesperson told Manish Tewari told a news conference that the BJP-led NDA government waived the anti-corruption clauses in the Rafale deal because there was corruption. He said the implications of the waiver of the anti-corruption clauses in the deal meant that the French, especially the suppliers — Dassault and missile-maker MBDA — were indemnified against any wrongdoing. “Essentially, what it means is that those who essentially paid, through whom the transactions were routed, and the end beneficiaries, get fully indemnified…Government doesn’t have the legal locus to cancel the contract,” Tewari added. Earlier, Congress president Rahul Gandhi too referred to the report on the waiver of the anti-corruption clause.